The Dreamer participated in the Occupy Atopos Residency in the spring of 2016. The outcome of his residency was presented in the Occupy Atopos #The Dreamer exhibition from May 18th until July 14th. The Dreamer, aka Sotiris Trechas, is a young, multidisciplinary artist who lives and works in Athens. While studying in Paris he was assigned by his university department to set up a group photo exhibition on the first floor of the Eiffel Tower and this where his work has been exhibited for the first time. Since then he has participated in numerous group exhibitions in galleries and cultural organizations in Greece as well as abroad (Ileana Tounta, CAN gallery, CAMP! etc. ), he has created the Dreamer label that includes limited edition tees and objects and, as a photographer, he has collaborated with various international media and fashion brands. 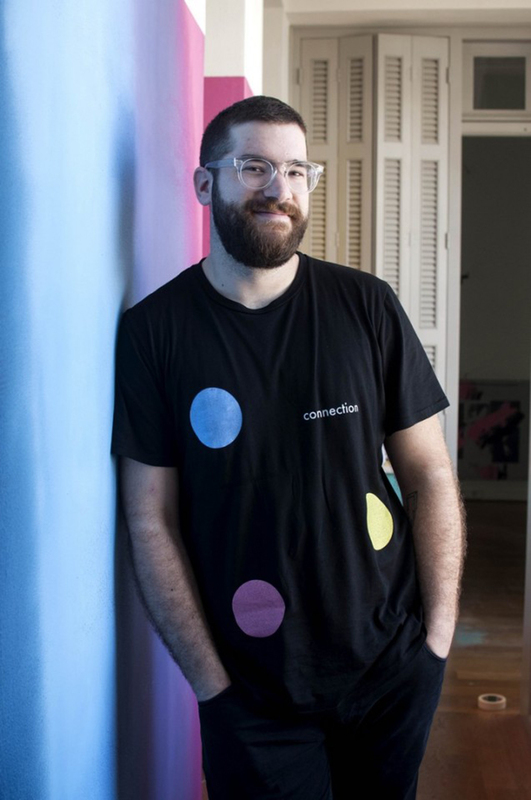 In 2013 he co-founded Neon Raum, a photographic studio – showroom for emerging designers, in the heart of Athens, while in autumn of 2015 he published his book – portfolio DREAM COLOR, which can be found in selected places such as the Reina Sofia Museum shop in Madrid and the MACBA shop in Barcelona.